A night of Americana and Blues with world-renowned blues artist Randall “Big Daddy” Webster and his Chicago-based Randall Webster & Red Hot Java band. 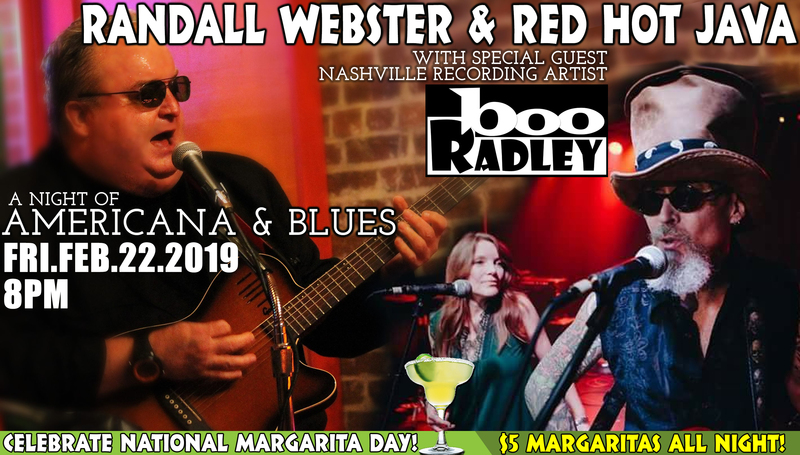 Nashville recording artist Boo Radley joins Randall for an evening of unforgettable music. Open at 6pm for dinner and drinks and we will be celebrating National Margarita Day with $5 Cuervo margaritas all night.